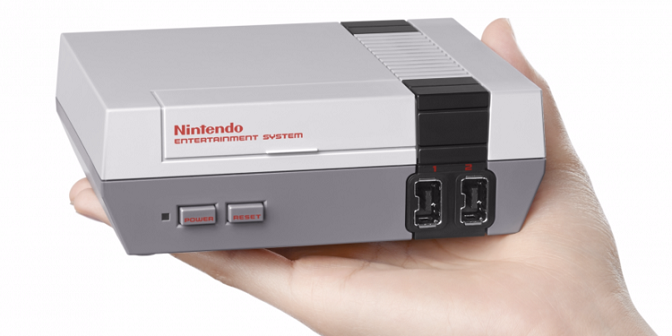 Home » Gaming » The NES Classic Edition is (Coming) Back, Baby! The NES Classic Edition is (Coming) Back, Baby! Just over a year ago, we brought you the news that Nintendo would be discontinuing sales of their NES Classic Edition. It was a loss for the nostalgia fans of us gamers, as the gaming giant just couldn’t seem to keep up with the high demand. Well, it seem that all of that is about to change, dear readers. Nintendo has been teasing & dropping hints that the console may get another day in the sun, but those of us skeptics didn’t really believe much of the hype. Well, on Sunday, May 13th, 2018, Nintendo of America surprised the gaming world at large by tweeting that the NES Classic Edition mini console will be resuming sales in stores effective June 29! That’s right, you have another opportunity to get your gaming mitts on the loaded up consoles next month! As you can see in the above tweet, the NES Classic Edition consoles are “expected to be available” in the United States from June 29 until the end of 2018. Unfortunately for those outside the U.S., there’s nothing concrete which indicates whether or not the consoles will be available anywhere else – which is a bit strange, considering that the NES Classic Edition debuted first in Australia and Japan before hitting the U.S. later in 2016. The original Nintendo Entertainment System debuted in North America in November of 1985, and since then, has remained one of the top selling gaming consoles ever. With home versions of arcade classics like Duck Hunt, Hogan’s Alley, Donkey Kong, and the always popular Super Mario Bros, the NES had a huge hand in boosting video games sales in the mid and late 1980s after the gaming market had crashed in 1983. The Nintendo Entertainment System remained as the dominant gaming system in Japan and North America until the early 1990s, and it was officially discontinued in the U.S. in 1995 – although it was succeeded at the top spot by the Super Nintendo Entertainment System, so there was really no loss by Nintendo. Since that time, Nintendo certainly has given us a wide variation of consoles; from the Wii, to the Nintendo Switch, to the LABO, the company has continued pushing the envelope when it comes to new technology. All of that being said, the original Nintendo Entertainment System still retains a large amount of popularity, and remains as one of the top-selling gaming consoles over. When the NES Classic Edition was first sold in 2016, it came pre-loaded with a slew of games from our respective childhoods that did their due diligence in bringing back that nostalgic 8-bit feel with which we were once so enamored. Adventures like Kirby’s Adventure, Mario Bros., Dr. Mario, Donkey Kong, Donkey Kong Jr., Castlevania, PAC-MAN, Super Mario Bros. 1-3, The Legend of Zelda, and Zelda II: The Adventure of Link and several others were included in the console’s release, so it stands to reason that we’ll see the same ones this time around. Also, sure…the games may still “only” be 8-bit, but getting to play these on a hi-def flat screen is something that I personally have been looking forward to. Needless to say, we here at PCU are pretty excited that Nintendo decided to bring the NES Classic Edition back to stores. Some of us missed it the first time around, so you can bet we’ll be pre-ordering if we can, and showing up on day one! What about you, dear readers? Are you going to take advantage of Nintendo of America’s decision to bring the NES Classic Edition back to stores in June? Why or why not? Let us know in the comments section below!